​We’re of the opinion that a company is only as good as what their customers say they are. 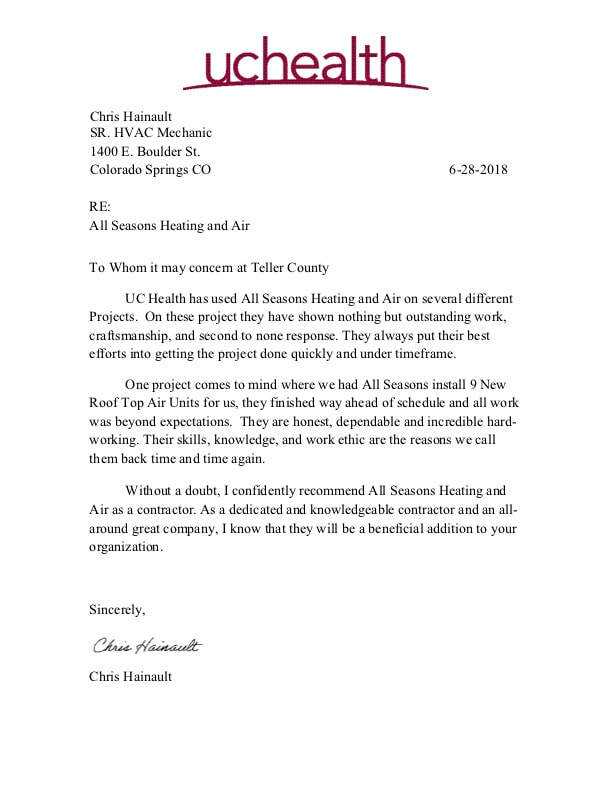 We invite you to check out what our past customers have to say about working with All Seasons Heating and Air Conditioning. All Seasons replaced and upgraded our roof top HVAC unit, installed an explosion proof blower, chemical fume hood and large diameter stainless steel ductwork with excellent results. This complicated commercial manufacturing project was completed from design to installation due to their experienced, knowledgeable and very thorough staff. ​Integrity is doing the right thing even if no one is looking. This is what you’re doing with my with regard to my purchase from you. Again, thank you for being so honest. ​Thank you all for helping us with our malfunctioning heat and AC today. We appreciate how accommodating everyone was with scheduling, completion of the work, and even the billing and payment! ​When installing two new HVAC units, All Seasons added (at their own expense) economizers on both units that introduce fresh cool air into our auditorium when it’s warm inside and cool outside (instead of cooling warm inside air). That saves us a lot on utilities expenses! ​I just wanted to take a minute to say, “Thank you,” for all your support of Falcon School District 49. You’ve always provided excellent workmanship and responded to our service calls without hesitation. I’m proud to let others know that you provide the kind of service that epitomizes honor and integrity. As a Realtor®, I always need a reliable, competent HVAC company. We have successfully used All Seasons hundreds of times and we (and our clients) have always been very satisfied with the work, the price, the timeliness, and customer service. 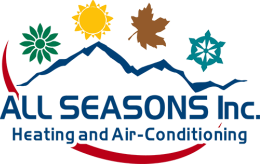 We recommend All Seasons to all of our clients and colleagues. ​I was introduced to All Seasons through their commercial work at my office, but I was a little worried that they would not want a small residential job. No need to worry--they were great to work with. The service provider returns phone calls, provided a written quote, pulled permits, showed up on time, did the work as agreed, and left work area clean at exactly the price they’d bid.